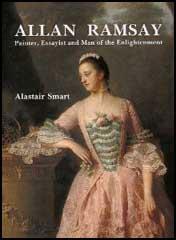 Allan Ramsay, the son of the poet Allan Ramsay, was born in Edinburgh on 2nd October, 1713. At thirteen he entered Edinburgh High School where he excelled at languages. In 1729 Ramsay entered the recently established Academy of St Luke in Edinburgh. This was followed by a period as pupil in London to the Swedish portrait painter, Hans Hysing. In 1732 he returned to Edinburgh where he set up as a portrait painter in Castlehill. Ramsay made his first visit to Italy in 1736. He lived Rome where he studied under the artist, Francesco Imperiali. This was followed by working with Francesco Solimena in Naples. In 1738 Ramsay left Italy and established a studio in London. He was soon recognised as the best portrait painter in Britain. Over the next few years he is commissioned to paint the portraits of many important people, including his main patron, Archibald Campbell, 3rd Duke of Argyll. Now financially secure, Ramsay purchased the Kinkell Estate in Fife. After working in Edinburgh in 1753 and 1754, Ramsay travelled to Italy where he stayed for three years. On his returned journey he visited Venice, Dusseldorf and Rotterdam. Ramsay moved to London where he purchased a home in Soho Square. His portraits at this time included his new patron, John Stuart, 3rd Earl of Bute and the Prince of Wales (later George III). 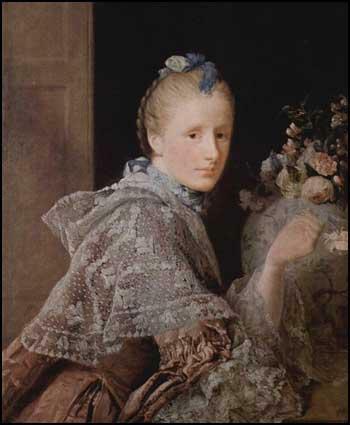 In 1767 Ramsay was appointed as Principal Painter to the king. This upset his main rivals, Sir Joshua Reynolds and Thomas Gainsborough. Soon afterwards he moved to a new studio in Harley Street. An accident in 1773, where he badly hurt his right arm when falling from a ladder, forced him to retire from painting. Ramsay travelled to Italy and after touring the country for two years, settled on the island of Ischia and was gradually able to resume painting. In October 1777 Ramsay returned to London and became involved in politics by writing pamphlets defending the powers of George III and calling for harsher punishments for those involved in the Gordon Riots. 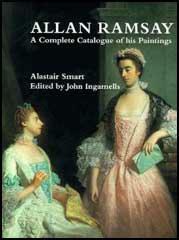 Allan Ramsay died on 10th August 1784.